TL;DR: Traffic to the HubSpot Blog flattened out earlier this year after growing steadily since 2006. 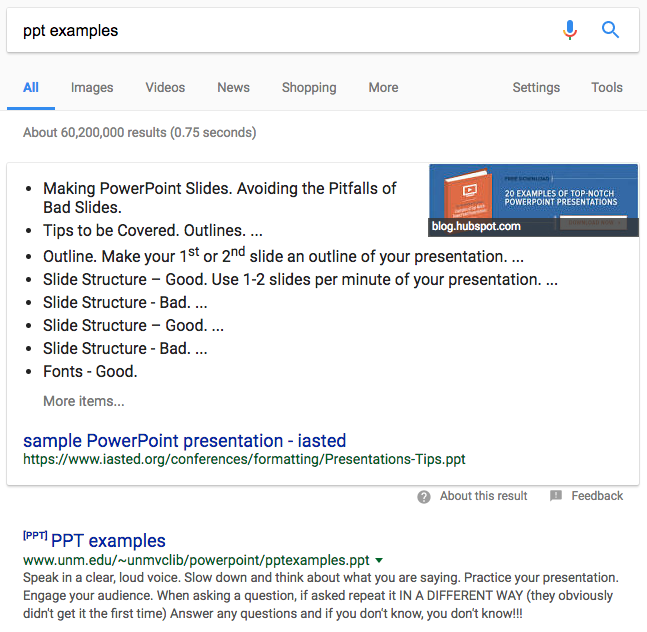 Our team dug into the trend and found that the decline was due to two main changes in Google search: the addition of featured snippets on Search Engine Result Pages (SERPs) and the increase in conversational search. A Snippet Ate My Traffic! Search is Changing. Traffic is Down. What Can Be Done? 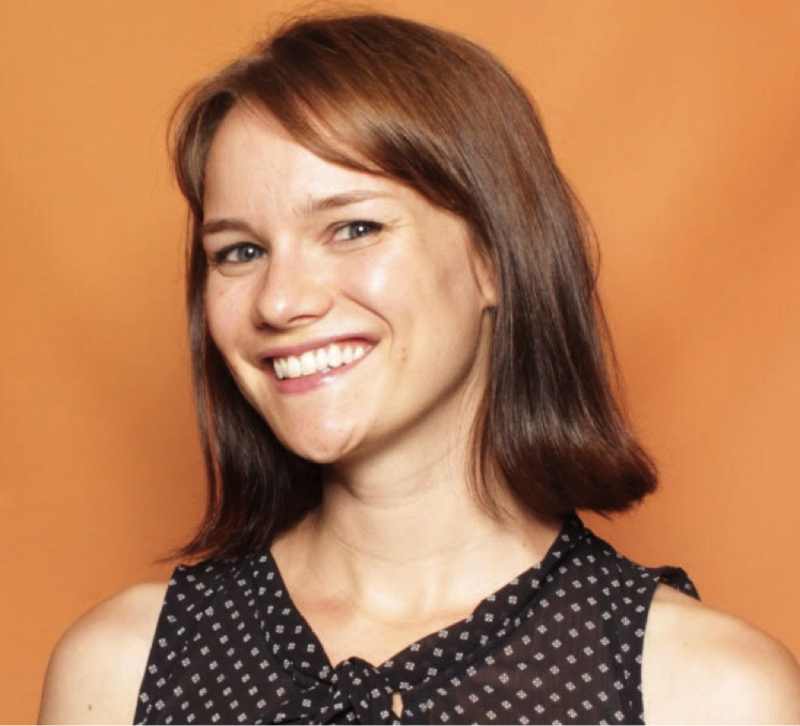 Since its inception in 2006, the HubSpot blog has been a key part of HubSpot’s inbound business. The more articles our marketing team published, the larger our audience grew. As we invested in growing the blog, we saw incredible returns. In 2014 we were receiving 1.5 million views a month, but we didn’t stop there. Thanks to our historical optimization project as well as topic expansion and an obsession with only publishing truly high-quality content, growth continued on a steady march up and to the right. The blog now receives 4.5 million monthly visits. For a B2B blog, that's massive. All was well and good until the dreaded day arrived when we started noticing some flatness in our blog traffic. And then some declines. Our days of fast paced growth in monthly views screeched to a halt and all of a sudden we were stagnant. But, why? We had high traffic from our existing posts and had created several new posts in 2017 that were bringing in considerable organic traffic for new keywords. That combination should equal more traffic, right? We were confused. And so we went into action. After many hours of analysis by our Blog and SEO teams, we got to the bottom of this unsettling trend line. The good news is that we now know the culprit stealing away our traffic. The bad news? It's Google. Before we dig into how Google is hijacking our blog traffic, let’s take a step back and review the key components of the modern search engine results page (SERP). 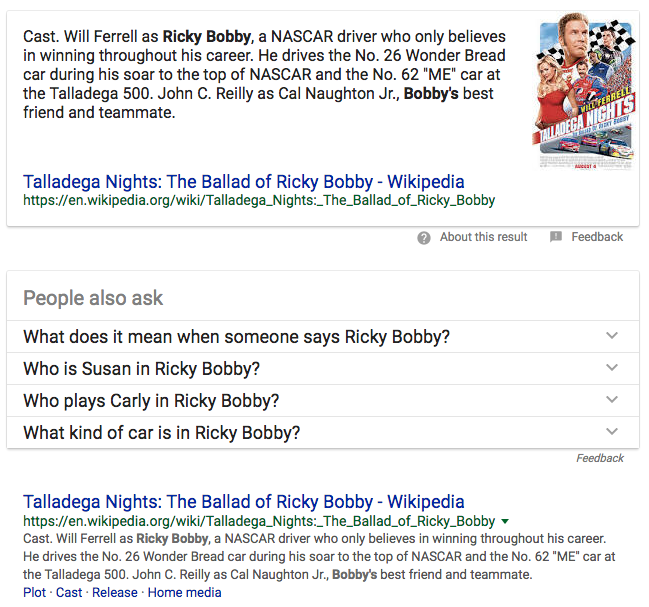 If you’ve seen the movie Talladega Nights, you know that the main character, Ricky Bobby, loves the phrase: “if you’re not first, you’re last.” Turns out that Ricky Bobby could have been an SEO in 2017. 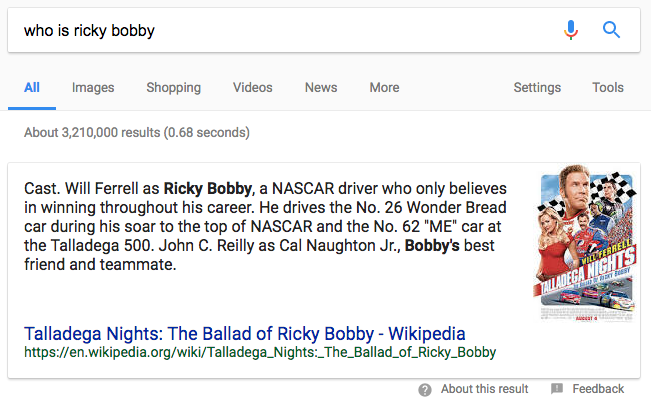 His signature phrase is apt when it comes to featured snippets. 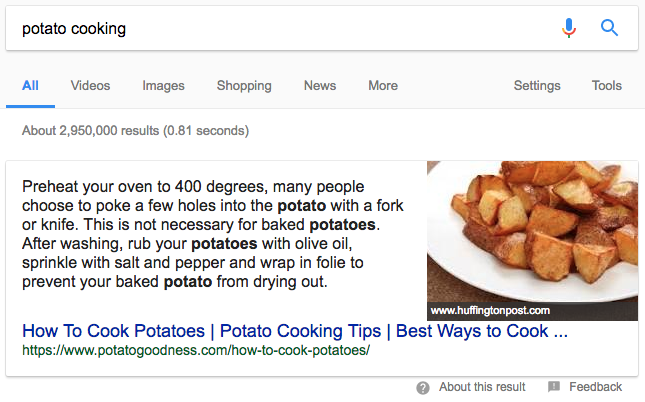 How do featured snippets affect website traffic from SERPs? 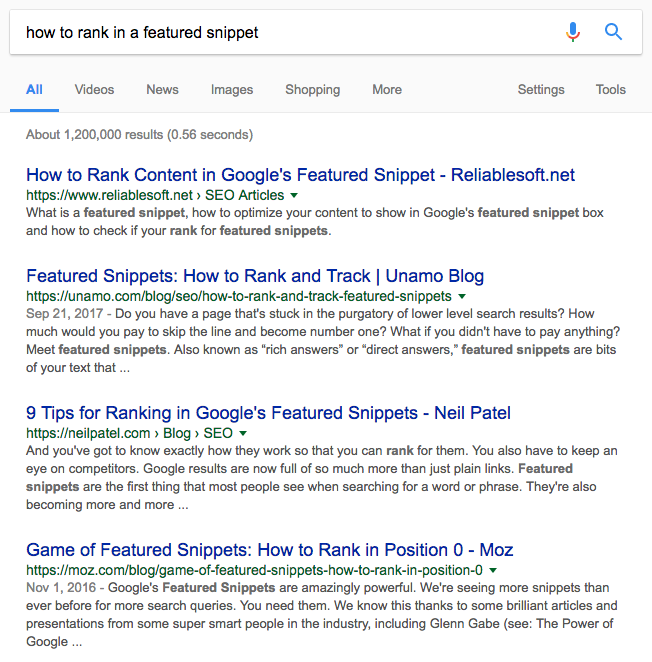 Well, if you attain the featured snippet, you’re “first” and you can expect to get even more clicks than if you ranked #1 with no snippet on the SERP. But if you're not in the snippet, you're "last" – featured snippets actually decrease the amount of total clicks to the other results. Here's an example to illustrate this point. 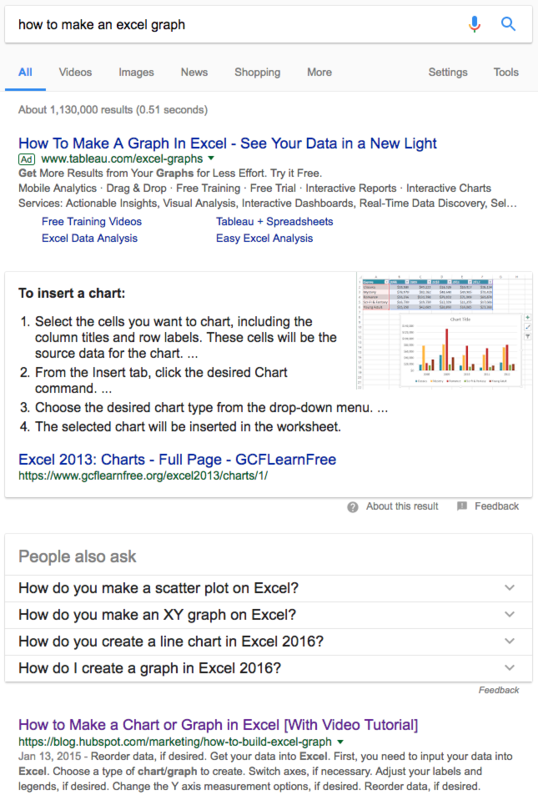 The SERP below does not have a featured snippet. 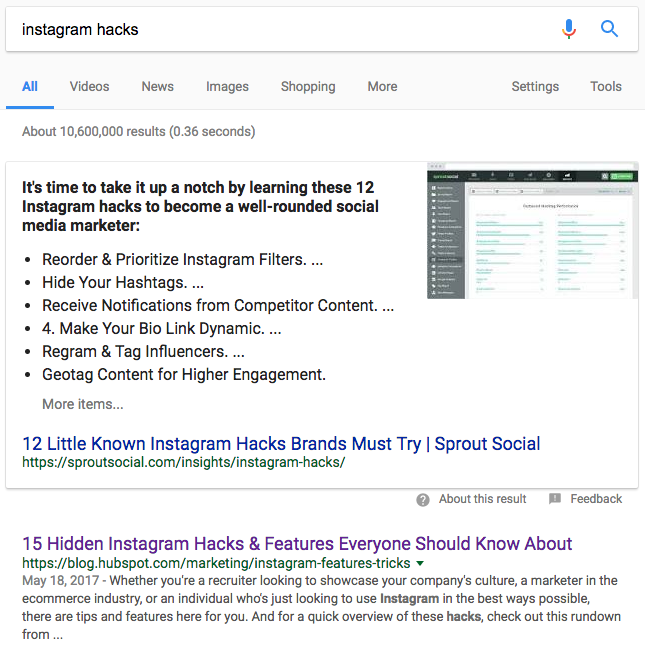 On an traditional "10 blue links" SERP like this one, the first result can expect to bring in about 33% of the total clicks, the second result 18%, and the rest 11% or under. 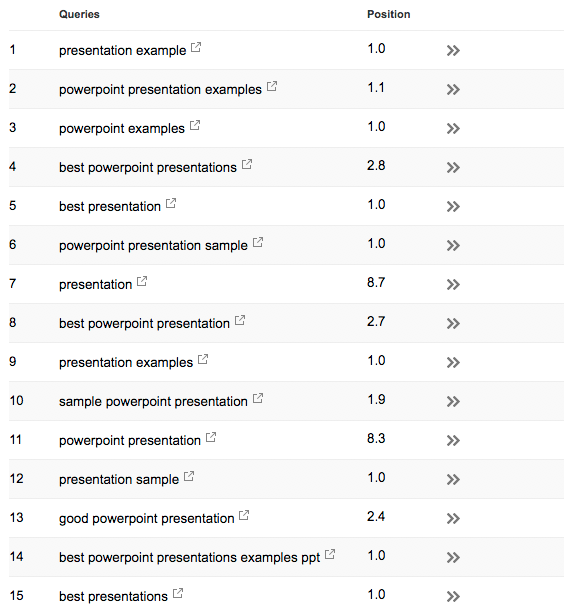 So if this SERP got 100 total clicks per day, that means 33 would go to #1, 18 to #2, 11 to #3, and the rest to #4-10. 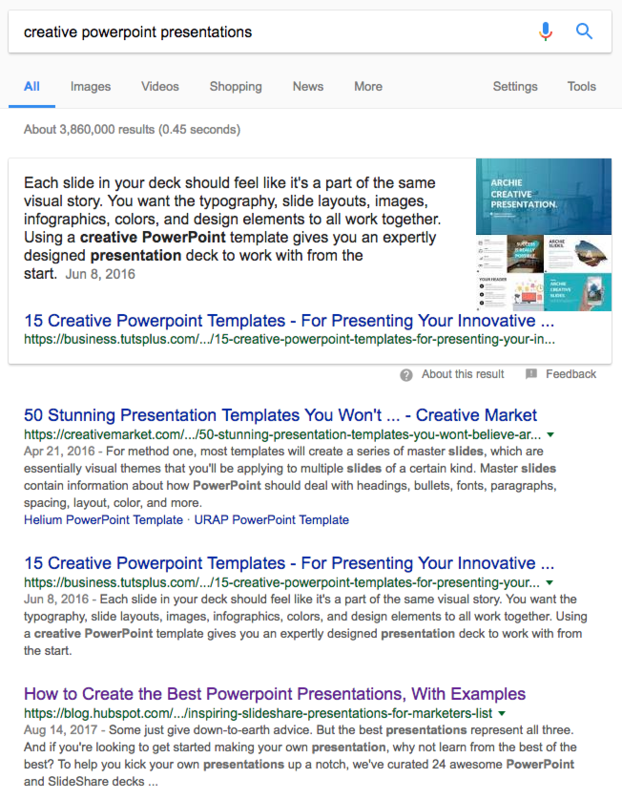 But add a featured snippet to the SERP, and this ratio changes completely. The increased number of clicks that go to the featured snippet result actually decrease the clicks the rest of the results on page receive. Sticking with the same 100 total clicks, maybe 50 now go to the snippet, 20 to #1, 10 to #2, and the rest to #3-10. What this means is that if you're not in the snippet, you could be getting less traffic to your page even if the rank has not changed. If you look at blog traffic broken out on a post by post level year over year (YoY), you start to see the impact not capturing the snippet can have on overall traffic. No one post went from an astronomical amount of views to zero. In fact, the opposite happened quite a bit – net new posts written in the past year started bringing in considerable amounts of visits. But there were a good number of posts that were getting less traffic YoY, and one quick look at the SERP usually revealed the reason. 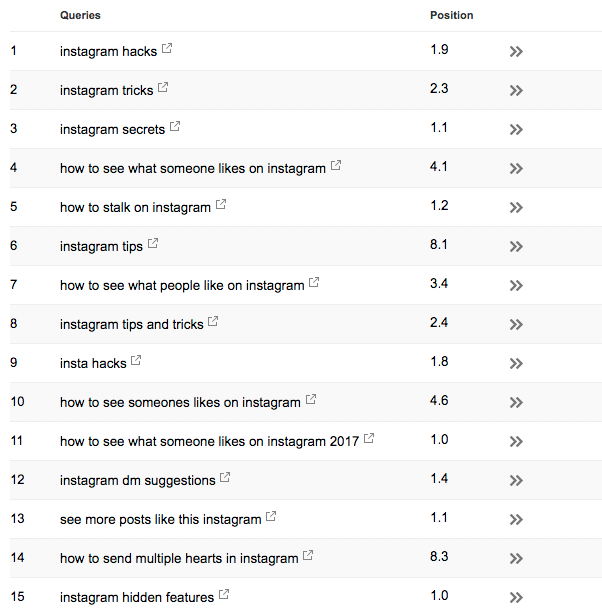 In all three of these examples, our page rank has not fluctuated significantly YoY – but we're not capturing the snippet for any of the high volume keywords. And just by the very fact that a snippet is on the page (not to mention ads, and other search features such as "People Also Asked"), our raw traffic from these SERPs has decreased. So featured snippets are the reason we’ve seen our blog traffic flatten this year. Even though we ranked well, because our result was not in the snippet, their effect on click-through-rate (CTR) from SERP brought down our raw traffic. The same thing is happening with business terms. 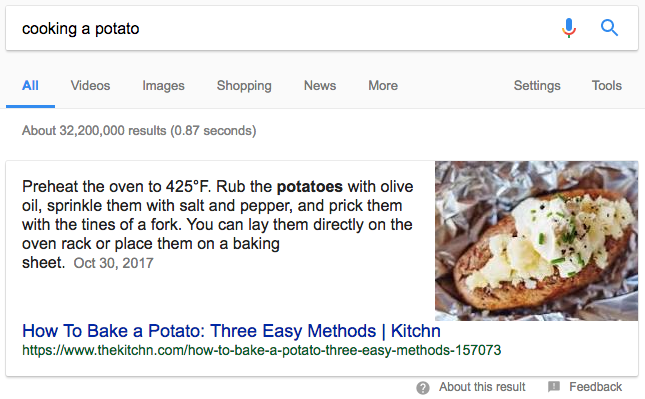 As people search more and more conversationally and precisely, Google is getting better at serving up the exact right result for your very specific search. 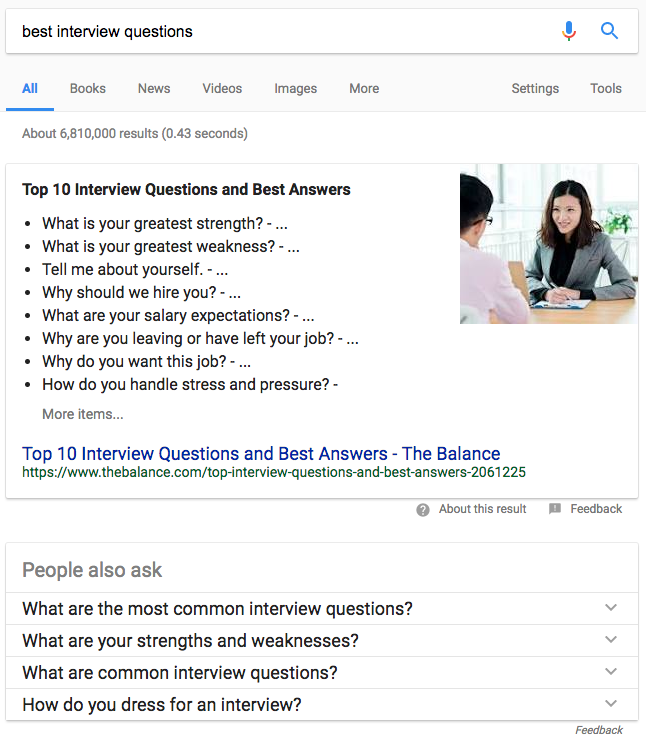 For example, whereas in 2012, Google might serve the same result for "great interview questions," "interview questions to ask an interviewer," and "what questions to ask during an interview" – something broadly applicable, like "The Best Interview Questions" – today, these searches are more likely to result in totally different results pages. What does this mean in the context of the blog? 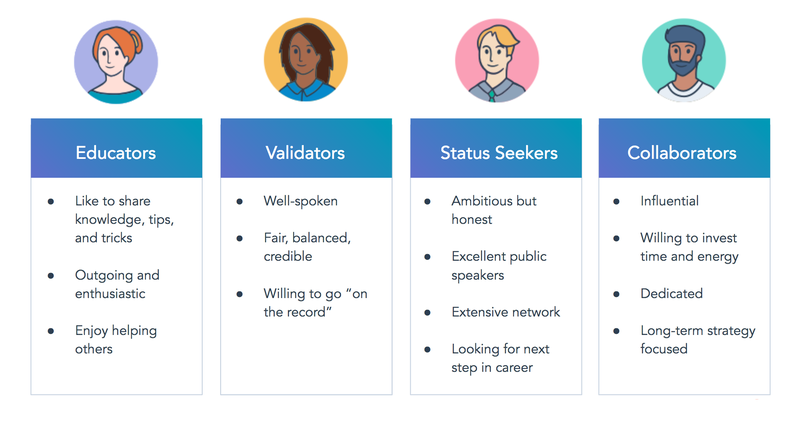 Even if one of our posts is still ranking #1 for a term with the largest amount of search volume – for example, "interview questions" – it could be losing on all the longtail variations, like "interview questions for boss," "funny interview questions." etc. And those longtail terms add up in aggregate. The number of featured snippets on SERPs has grown 328% since summer 2015. 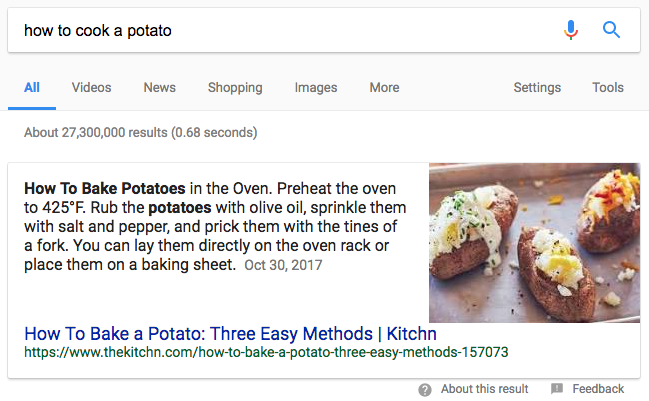 By some estimates, just under 1 in 3 Google searches now returns a featured snippet. And, perhaps most troubling for marketers, almost half of searches today result in no clicks at all according to Moz data – a side effect of serving answers directly on the SERP. Search is changing. Searcher behavior is changing. 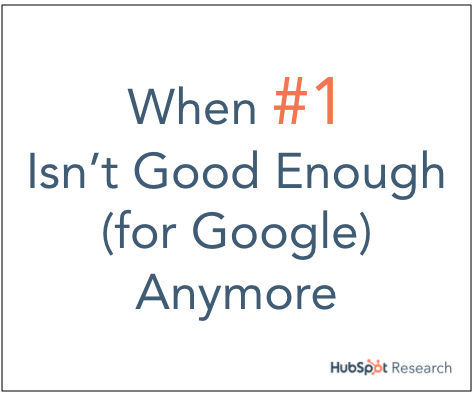 Put these two together and "SEO is getting harder than ever before," as Matt Barby, HubSpot’s resident SEO, likes to point out. Go for the longer longtail. Instead of optimizing one comprehensive post for a bunch of smaller longtail keywords, we’ll start writing shorter, more specific posts for all the precise variants a keyword might have. 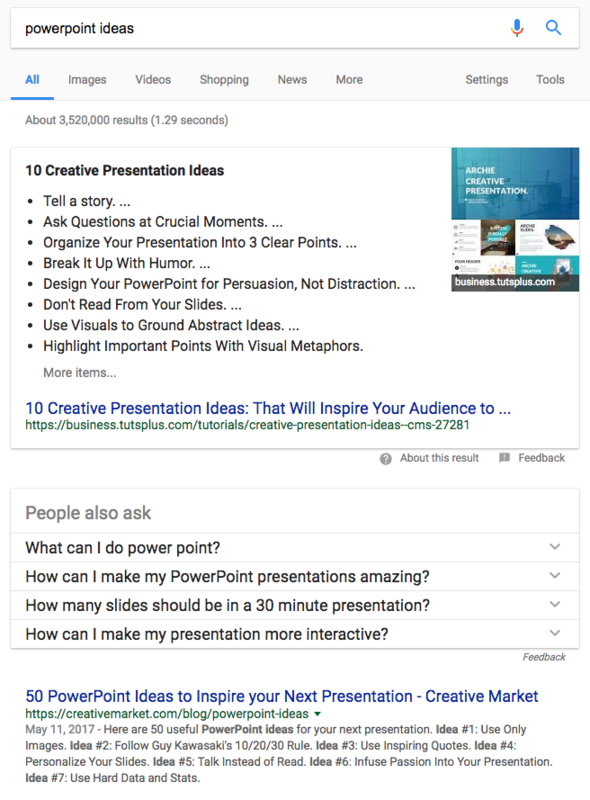 These are the "cluster" posts that are essential to catapulting one "pillar" piece of content to that coveted #1 position for the most competitive terms – and capturing all that longtail traffic simultaneously.